t is time to kick off another Season of Performing, our 23rd year. 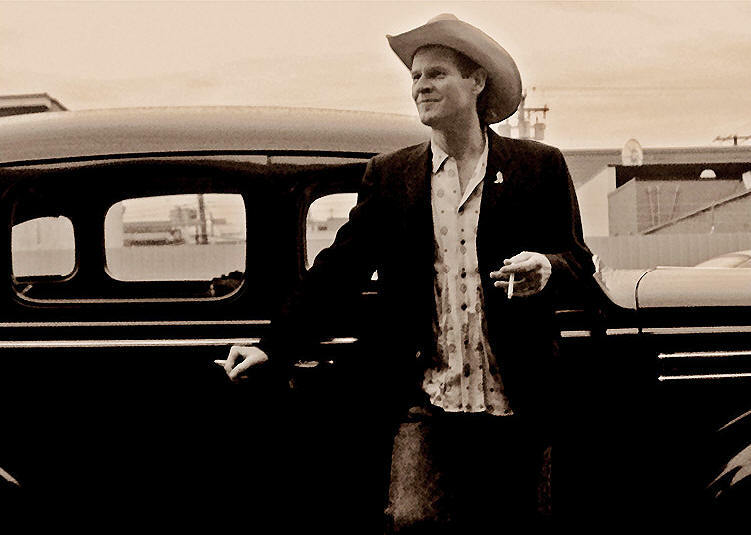 Our first show features Vancouver’s king of blues and roots music Sandy Bone with his band The Breakdown. Sandy has appeared in Harrison a number of times as the singing drummer with blues band The Twisters; this time he is on guitar fronting his own band. The Harrison Festival Society is proud to present Vancouver’s masters of Roots and Blues, Sandy Bone & the Breakdown on Saturday, October 6 at 8pm in the Harrison Memorial Hall. Last seen in Harrison as the drummer for The Twisters, Sandy Bone has devoted his life to music: touring, performing, recording and producing across North America and around the globe for over 30 years. Long recognized as one of the country’s foremost Blues drummers, Bone has been featured on more than 20 records. In 2001, at the top of his game, he was thrown a curve ball that any musician would dread; he developed tendonitis in his left arm. In 2004, after a long hard-fought battle, he reluctantly had to give the sticks a rest. For many, this could have been a curtain call but quitting or giving up was just not an option for this consummate musician so… Bone went to work! Armed with only his love of music, his talent and relentless resolve he turned his focus to singing, songwriting and guitar, ultimately forming Sandy Bone & The Breakdown. Sandy Bone brought together an ensemble of superlative west coast talent, including: Dave “Double D” Dykhuizen on guitar, lap steel and vocals, Dave Webb on piano and Hammond, Steve Knelson on drums and Pat Darcus on stand-up bass and vocals. The BreakDown is a dynamic roots oriented band who work a refreshing spin into the fabric of their Blues, much of which is original material. With one eye on the road and one to the sky, always between the fence posts, they deftly weave threads of R & B, Swing, Country, Rock-a-billy, Folk and Rock & Roll into heartfelt tales of life & death, women & whisky, home fires & travel, love & heartbreak and, of course, trains!!! A list of some of the musicians/bands SandyBone has performed and/or recorded with includes: Pinetop Perkins, Clarence “Big” Miller, Kenny “Blues Boss” Wayne, Russell Jackson, The Twisters, Big Time Sara, Lou Pride, Sue Foley, Mitch Kashmar, Jumpin’ Johnny Sansone, Big Jack Johnson, Sonny Rhodes, Tim Williams, Diana Braithwaite, Chris Whitely, Steve Marriner, Wes Mackey, Bill Johnson, Steve Kozak, Back Alley John, Drew Nelson, Harpdog Brown, Johnny Ferreira, Shuggy Otis, Long John Baldry and Amos Garrett. He has also shared the stage with Kim Wilson, Linton Garner, Sonny Rhodes, Jeff Healey, Matt Minglewood, Dutch Mason, Suzie Vinnick, Jordan Cook, Donny Walsh, Big Dave McLean, Eddie Shaw, Sneezy Waters, Tom Lavin and many, many more. Tickets are $22.00 and can be purchased by phone at 604-796-3664 or online at www.harrisonfestival.com or in person at the Ranger Station Art Gallery in Harrison, or Agassiz Shoppers Drug Mart.